Full & Natural Tone – Both Obverse and Reverse – San Fransisco 1891 Morgan Dollar, Gorgeous Piece – Better Date. 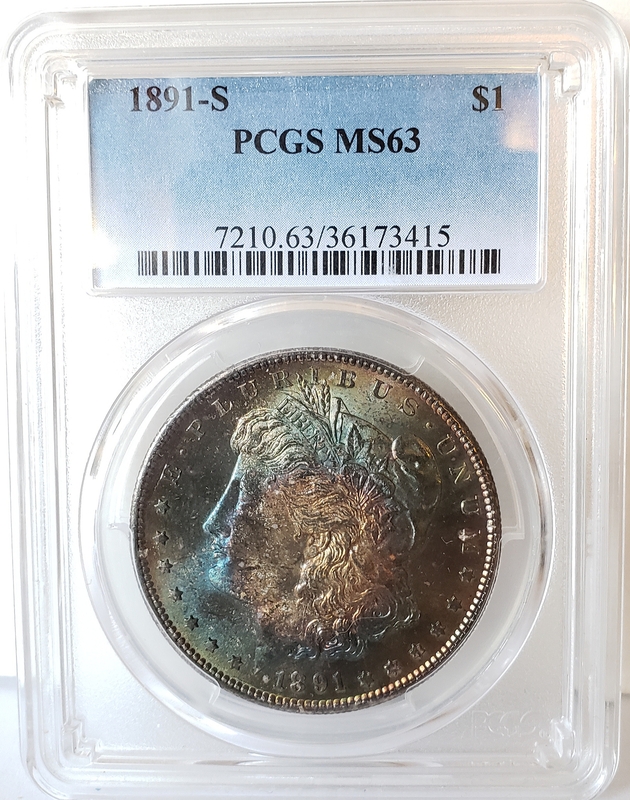 Morgan’s with natural tones as this while in Mint State are extremely rare, and usually can command premiums as high as 2.5k, common dates graded in MS.
this Full NT example at this grade is possibly the only one for the date. A Great looking piece, solid choice for every collector. The holder is new in excellent condition. use the local pick-up option, look for it during check-out.